If you like mind-blowing animation that challenges the boundaries of cinema and story, the line between imaginary and reality, then it’s impossible to miss out on Satoshi Kon’s works. Satoshi Kon is one of the most influential, innovative, and challenging directors and animators in anime, with his inspirations being the nature of humanity, as well as different Japanese sociocultural issues like homelessness, the patriarchy and its exploitation of women, the culture of media, and the politics of historical revisionism. Kon is also well known for his multidimensional and complex female characters. When asked in an interview why he primarily chose to focus on women for his films, he replied that because he was a man, he very much knows what male characters are like, but he doesn’t know women in the same way. Thus, making it somewhat easier for him to project and expand the aspects of character and story he wishes to describe. This allows Kon to explore the female character as something so questionable and subjective, he is able to pull the audience into the woman’s vulnerability, performance, and danger, through a surreal and almost unsettling realm. Truly, the strong, thought-provoking, female protagonists Kon creates are really the stars of the dazzling storytelling and postmodern critiques of culture and cinema. So if you’re looking for animation that delivers not just pretty women and good storytelling, but films that penetrate the psychological and cultural realm, Satoshi Kon’s award-winning works are a great place to start. 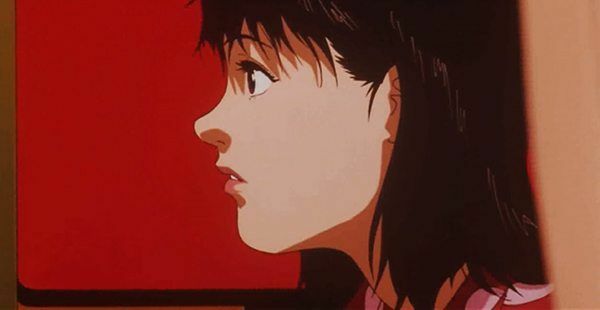 Kon’s directorial debut, Perfect Blue, follows Mima Kirigoe, a retired idol singer who decides to become an actress. Her sense of reality starts to shake as she falls victim to a stalking, which causes her perception to blur the lines between reality and fantasy. This animated psychological thriller received many critical responses, which invited many to analyse the film through different lenses of theory and inspired some shots in Western films such as Requiem for A Dream (2000) and Black Swan (2010). Perfect Blue is both dark, and sophisticated, which is guaranteed to leave you haunted for days. Millennium Actress is a film that focuses on an actress named Chiyoko Fujiwara, who mysteriously disappears at the peak of her career. The film follows a TV interviewer and a cameraman as they are able to interview Chiyoko, and are drawn into the story of her life, literally, as the two are blended into various scenes of Chiyoko’s reality. Kon shows weaves memories and imagination together, which portrayed Millennium Actress in a much more positive light when compared to the drearier Perfect Blue. The film’s take on love and life, accompanied by the dazzling animation, will surely touch anyone who’s ever loved deeply. The script for Tokyo Godfathers was also co-written with Keiko Nobumoto, the creator of Wolf’s Rain (2003) and the head scriptwriter of Cowboy Bebop (1998). The film follows an unlikely trio of Hana, a transwoman and a former drag queen, Miyuki, a runaway girl, and Gin, a middle-aged alcoholic, who find a baby named Kiyoko, and are on the quest to reunite her with her parents. In their journey, however, the homeless vagabonds attempt to overcome their own personal demons. The drama-comedy offers a radical idea of family, which tells a light-hearted story of miracles, love, and forgiveness. Paprika tells the tale of a research psychologist named Atsuko Chiba, who uses a new, revolutionary psychotherapy treatment/technology that allows her to enter a patient’s dreams. However, Chiba uses the machine illegally, attempting to help patients outside of the facility, with her alter-ego Paprika, who she becomes in the dream realm. The film is a wild, eye-opening trip thatfollows its own brand of logic. The film focuses on the synergy between dreams and reality, making the film hypnotizing and surreal. It was the final feature film of Kon before his untimely death in 2010.